"Don’t know anyone who has clients walking out of a 4 hr legal session as excited as I was!" Roger advises start-up and growing businesses on entity formation, raising capital, strategic partnerships, technology licensing, distribution agreements, and business sales, acquisitions and mergers. 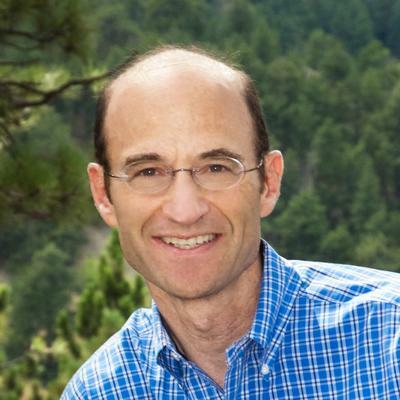 As a lawyer, he represents businesses in Massachusetts and Colorado, primarily in the software, e-commerce, and blockchain industries. As a business advisor and angel investor, he works 1-on-1 with entrepreneurs and helps launch new ventures. "Excellent attorney. Would work with Roger again." "Roger has been great to work with. He is friendly, responsive, thorough, and communicates clearly. I will happily look to him again for future needs!" "Very expeditious service, great communication and an overall pleasant experience. Highly recommended!" "Coming to him with a rather challenging request and series of documents to sort out, Roger followed up with me until I got the answers I needed about my equity stake in a new startup. Though I know he put in several hours between the review and discussions with me, he kept it all to the fixed upfront fee as originally quoted. This has been my best experience with a lawyer so far." "Experienced lawyer - easy to work with. Roger took the time to understand our requirements and addressed it in the documentation he prepared. Will work with him in the future." Roger Glovsky provides legal counsel to traditional and high-tech companies in the areas of business formation and operation, financing (private placement and venture capital), employment and employment compensation (including equity incentive compensation), sales and distribution agreements, software and technology licensing, Internet-related issues, and mergers and acquisitions. Founded law practice representing start-up and growing businesses for general corporate matters, financing, acquisitions, stockholder agreements, software and technology licensing, OEM agreements, distribution and sales contracts. Clients are in technology-related business including e-commerce, software development, computer components, circuit design, electronic components, networking, etc. Member of executive management team for B2B provider of online community tools and services. Drafted and negotiated distribution and service agreements with major media companies, Fortune 1000 companies and top tier web sites; developed and implemented contract templates including, software license agreements, evaluation agreements, NDAs, and consulting contracts etc. Founder and organizer of the Business Lawyers Network (BLN), which provides networking events for lawyers and non-lawyer professionals. There are three main purposes of the group: education, networking and collaboration. The group hosts monthly meetings over breakfast with an interactive discussion on some topic of interest to business lawyers and other professionals.